Tyler Hansbrough is one of those guys you want on your side. He's pesky, aggressive, he hustles to get that rebound and SOMETIMES he gets in your face. After Masai Ujiri traded away #1 draft pick Andrea Bargnani to the New York Knicks, it left a hole at the power forward position. Amir Johnson now moves to the starting four spot with Hansbrough as the backup. Ujiri signed Hansbrough as an unrestricted free agent, and inked the former Tar Heel to a two-year deal during the offseason. His career numbers: 8.9 ppg, 4.7 rpg and 76% free throw shooter throughout his four seasons with the Pacers. The 27-year old is ultimately known for his hard work and hustle that will thrive in Coach Casey's 'Pound the Rock' defensive system. 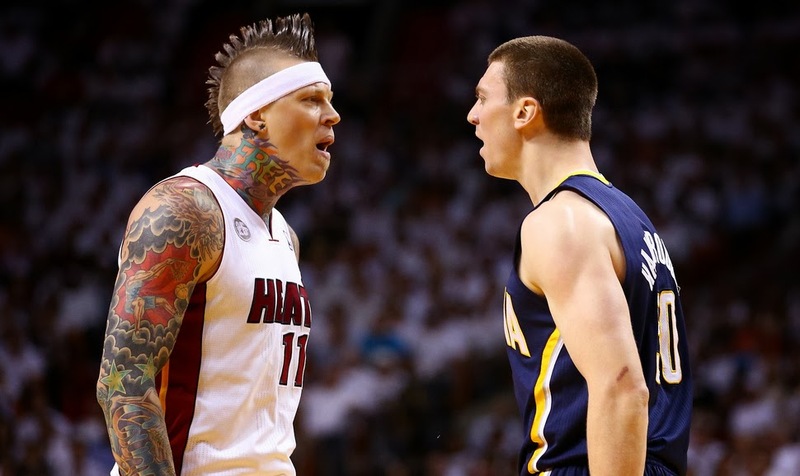 Now, Hansbrough brings another level of intensity and toughness to this team. He's a four-year college guy that's known to be a gym rat and has the accolades to show for it. He's a former NCAA champ with a stack of collegiate awards and 35-games of NBA playoff experience with the Indiana Pacers. He's also been known to be hothead and it has been evident throughout his basketball career; be it a skirmish with the Heat's Chris Andersen in last season's Eastern Conference finals to his push on a falling Jonas Valanciunas in a matchup against the Raptors. The push on Valanciunas prompted a quick "this guy's a hack" remark from Jack Armstrong on the broadcast. Now, this 'hack' is in the Raptors corner, ready to aggravate another team.